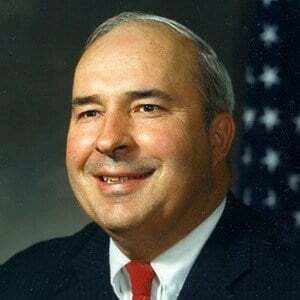 Politician who served as a Republican member of the Pennsylvania State Senate representing the state's 50th district from 1971 to 1981 and as the state's Treasurer from 1981 until his death in 1987. One day before his sentencing on bribery charges, he called a press conference in which he publicly committed suicide. He was born in Saint Charles, Missouri and earned a Master's degree in Education from Allegheny College. He was a football coach and social studies teacher at Cambridge Springs High School. In the 2010 documentary Honest Man: The Life of R. Budd Dwyer, the man whose testimony convicted Dwyer, William T. Smith, admitted to lying under oath about Dwyer taking a bribe. His widow, Joanne Dwyer, passed away in 2009. He had children named Robert and Dyan. Shortly after being convicted of accepting a bribe, he wrote to President Ronald Reagan pleading for a presidential pardon.